A Broken Tip Stuck In A Hole – T.D.G. Posted on July 29, 2013 January 30, 2019 by Tom G.
I get some weird jobs to do and this one was no different. 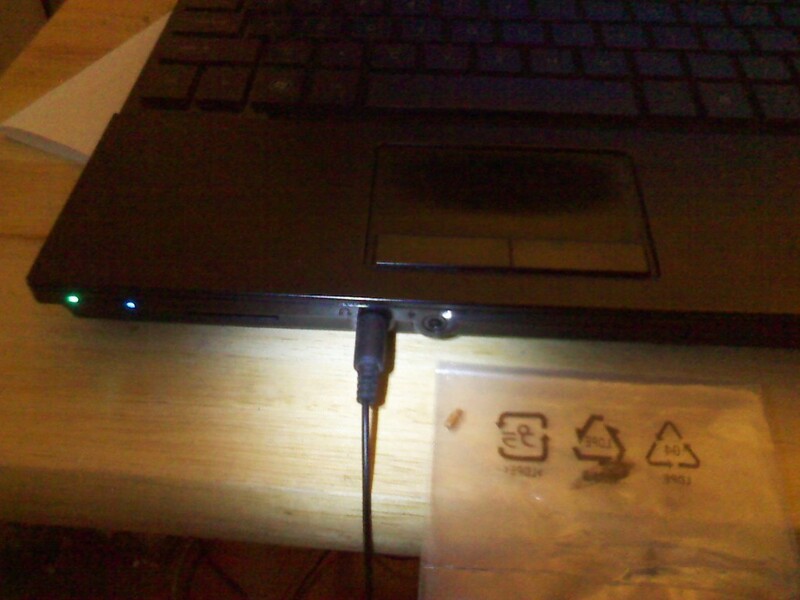 My friend’s son broke off his headphones jack into the socket on his HP ProBook 4510s laptop and now he couldn’t use his headphones because it had the broken tip still jammed in there. I had to think about this one for a bit because I did not want to charge that much to fix. I had two choices, take the laptop apart or try to dig it out from the outside. I tried to use a powerful magnet to get it out but it was not a metal that was attracted by a magnet. I tried to use a drop of hot glue on the end of a small screw driver and stick it to the broken piece but it was not strong enough to hold up as I tried to pull it out. I was left with the take it apart option so I went to youtube to find a video about how to take the thing apart in a way to get access to the back of the jack. I got lucky because it only too a few screws and I was able to get to the thing. I use a wire bag tie with the paper stripped off and doubled over and twisted to keep the 2 thin wires stiff enough I just pushed it into the back of the jack and the broken piece was pushed out easily. Altogether it took about 2 hours and I think I will charge him $30 because I had nothing else to do and he is a good friend! The jack is circled in red and the blue line is where I slid in the thin wire thru to push out the broken tip. The copper colored thing in the bag is the tip that was stuck in the headphones plug hole. The headphones are plugged in and work fine now! Next Next post: Start Your Own Online Store!